If you have browsed our website and wish to consider working with us to improve your health please read on as this section lays out our expectations of the consultation process. We are also happy to use Google Drive, Dropbox or similar in accordance with your wishes. Safeguarding of your health data is of paramount importance to us so please discuss your wishes and concerns. It is fair to say that it is very rare to be able fix a health issue in one appointment. We would recommend an initial three appointments spaced at monthly intervals, to get you on a path that is manageable and is gaining you positive results. Once you are on that path your appointments can be spaced further apart. 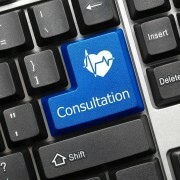 The first consultation is generally 90 minutes long and you have the option to take away hand written notes outlining our agreed goals, a recording of the consultation, or you can have an extensive typed report with all the possible underlying causes for your current heath status. Clients request the recording and short goals far more often as this really provides you with an understanding of the impacts of environmental challenges and how to rectify them. We find that this provides our clients with the ultimate in motivation. It is a key tool that we feel is different from the norm. In addition, for those clients who require extra help and support via email between appointments we also offer this for a regular monthly charge. A very quick email asking us for advice about finding a supplement recommended by us, or a concern about a particular symptom or reaction you may feel is connected with agreed changes is free of charge. However, some of you will feel safer if you know you can email more often or with other types of questions. We will not make interim changes to your plan via email and the emails are not an alternative to a follow up consultation. They are there for you to be able to relieve anxiety about your case and to offer extensive support in the early days of a programme when you maybe a little unsure. You must agree to regular 4-6 weekly follow up appointments to be able to take advantage of this service. If it is more than 3 months since your last follow up there will be a lot to catch up on so this cannot realistically be undertaken in a 45 minute follow up appointment. Please bear this in mind when budgeting for your care plan. If you are transferring from another practitioner and have test results that require analysis and / or interpretation; preparation for your consultation will also take longer. You are advised to take up the offer of a free 15 minute consultation to decide whether your tests are worth considering. 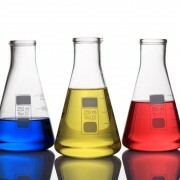 Some tests (over a year old for example) may be of limited or no use as your individual biochemistry changes over time. In these instances it is more worthwhile to commence with a new functional assessment. If you are enquiring about Nutrigenomics interpretation and care planning this has a separate fee structure due to the immense amount of time required to interpret raw 23andme data and the cost of running the data through appropriate software. We do not use free software interpretation as this is very limiting in its offering. Please read the CAM article in our blog, comparing the different software packages [link to blog article]. We believe that if you have gone to the trouble of obtaining your genetic blueprint, the data should be used to gain the best effect for your health challenges. With this in mind it is also important to say that while having your genetic data is a good thing, knowing how your genes are expressing is better. This can save you time, money and heartache experienced when treating individual gene SNPs (single nucleotide polymorphisms). For this reason we also recommend further testing. Please call to discuss prices. We use the Functional medicine paradigm to analyse your case. https://www.functionalmedicine.org/ This includes completion of a timeline and matrix [examples] to work out antecedents (underlying causes), triggers (the straw that broke the camels back) and the mediators (what is keeping you ill). Knowing these can help us unpick your health challenges so we can work with you to help you improve your quality of life. Please watch the video for more information. Please click on the links below to book an appointment. Clinic days are Monday 10am, 11.30am, 2pm, 3.30pm; Wednesday 11.30am, 2pm and 3.30pm ; Fridays 10am and 11.30am. We also offer occasional evening telephone or Skype appointments, please ask for availability. Please note that in case of cancelation a £20 non-refundable deposit applies unless cancelled before 48 hours when the full amount is due.